Fundraisers with a sweet tooth are being urged to lace up their trainers and take part in a new race in aid of St Nicholas Hospice Care. Whether you’re a keen runner, donut connoisseur or just want to try something fun for charity, the Donut Dash is an event for everyone. 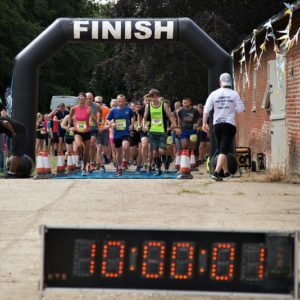 Part of the Suffolk Trail Festival, it’s up to you whether you choose to walk or run the one-mile course, but whatever you decide waiting for you at the end will be a delicious donut (and a medal) – taking part never tasted so sweet. Adults can sign up for £10 with entries for under 16s priced at £5. An adult, who must also be registered to take part in the challenge, must accompany all children under the age of eight. Children aged nine to 16 must have an adult present at the event. The race takes place on Sunday 16 June 2019, starting at 1.30pm. Click here for full event details including address and directions. For more than 30 years, St Nicholas Hospice Care has cared for those with long-term and life-threatening illnesses across West Suffolk and Thetford. We rely on the help of more than 700 volunteers and need to raise more than £11,000 every day to be able to continue providing our support. Upon receipt of your entry form and fee we will issue an email or letter of confirmation and sponsor forms if requested. Your place is not confirmed until you receive this. Although it is not required, participants are encouraged to raise sponsorship if they wish. If sponsorship money is raised, money and forms should be returned to us by July 12, 2019. You are not permitted to use any of the sponsorship money raised to pay for your entry fee or any expenses. All sponsorship money must be given directly to St Nicholas Hospice Care. By registering for Donut Dash you give permission for St Nicholas Hospice Care to use your name and other information for event purposes. Refund policy: The booking fee has the following refund policy: Up to three weeks prior to the event, a 75% refund is available. Within three weeks of the event, no refund is available. In the unlikely event of St Nicholas Hospice Care cancelling due to bad weather or other unforeseen circumstances, a full refund will be offered to participants. By registering for this event, you understand that signed parent / guardian consent for all children must be received on the day. 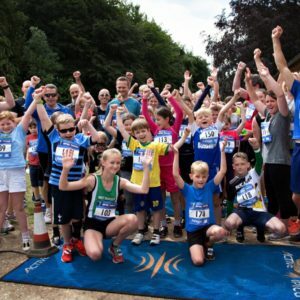 Places are non-transferable so if you are unable to take part for whatever reason you must inform us as soon as possible (and return your sponsor form if applicable, even if it has no sponsorship entries). Participants are responsible for their own medical condition and ensuring they are fit to complete the event. Please consult your doctor if you suffer from heart, joint, back or breathing problems or any other medical condition that may affect your ability to take part. Parents and Carers cannot be under the influence of alcohol at Donut Dash. I understand that by ticking the terms and conditions box on the registration form I am agreeing to these terms and conditions. Please click here to read how St Nicholas Hospice Care uses your data. At the event, Hospice photographers and videographers will be capturing images for use in publicity. If you are uncomfortable with your image being used in future publicity, please notify the Hospice’s Fundraising Team in writing, and/or express your wishes to those photographing on the day. Representatives from the local media and other organisations are invited to attend. This includes reporters, photographers and videographers. During the event, they may wish to speak to you, take photographs or record a short interview. It is your decision whether to agree to their request. St Nicholas Hospice Care does not have any influence over how the information you share with them is used, or when and where images may appear. If you have any concerns on the day, please speak to a member of the Events Team, who will all be wearing blue jackets.